A few weeks ago I traveled in the Darjeeling district towards the Nepal border, to reach a school in Mirik where I was to do some teaching. The drive was very scenic, with heavy mist meandering through the tall pine trees flanking the twisty mountain road. 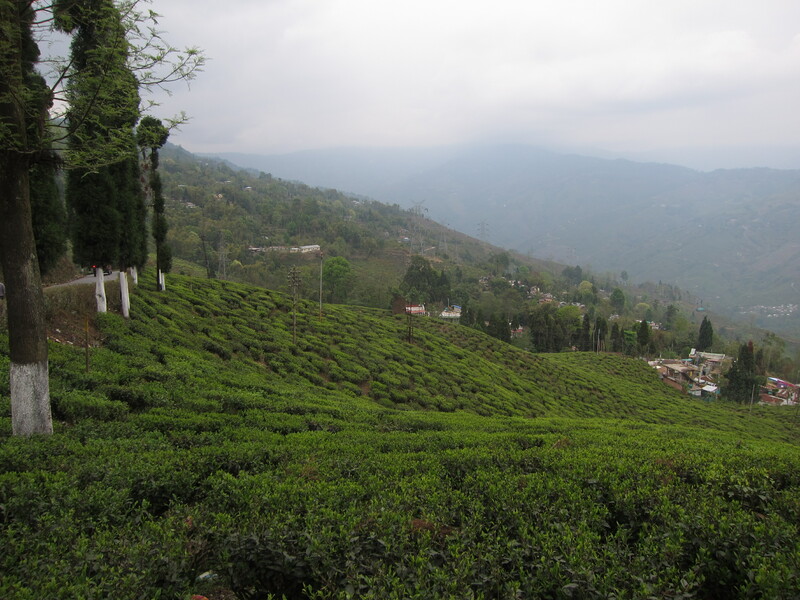 The Mirik area is home to several of Darjeeling’s famed tea gardens, and after we left the pine forest the rolling hills were covered with tea bushes. 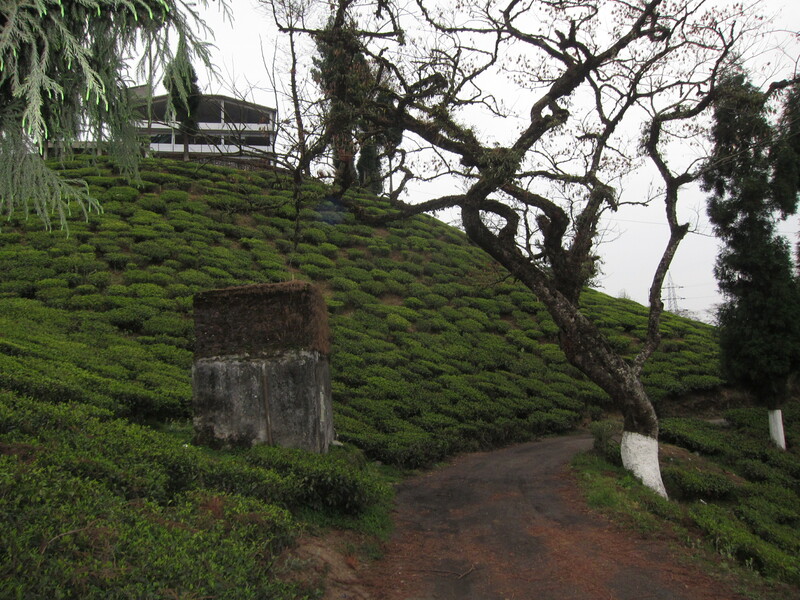 Thurbo Tea Estate, Mirik, Darjeeling District. 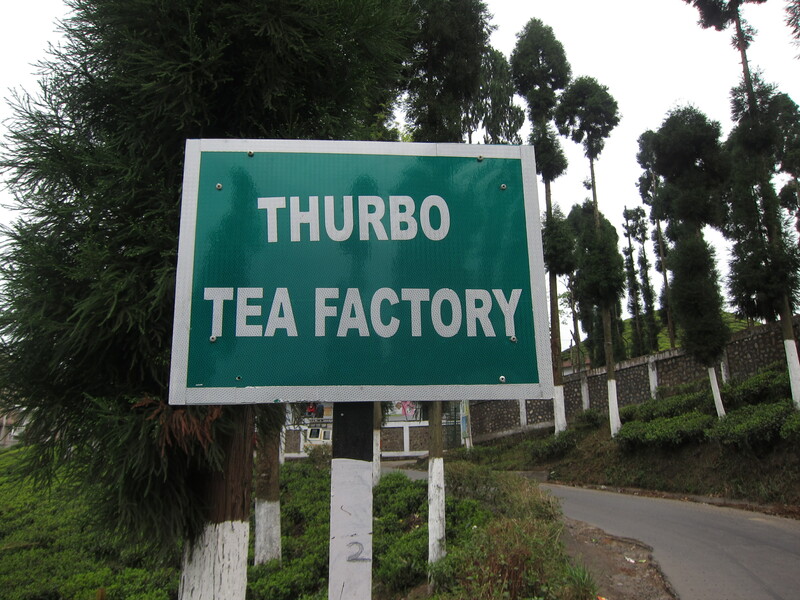 As we neared our destination I noticed a sign for the Thurbo Tea Factory, which reminded me of a good Thurbo second flush tea that I had bought at a tea shop in New York City a few years back. I decided to make a visit to the tea garden and factory, and just over a week ago I set out for a Saturday afternoon excursion. 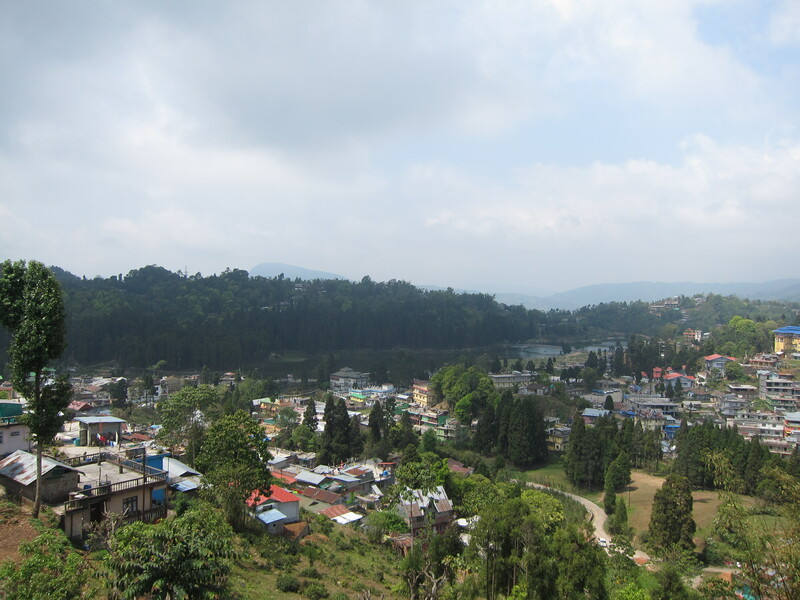 The school where I’m teaching, the Glenmore International School, is on a hill overlooking a small lake in the pleasant town of Mirik, and the Thurbo Tea Estate is located about five kilometers away from the school. 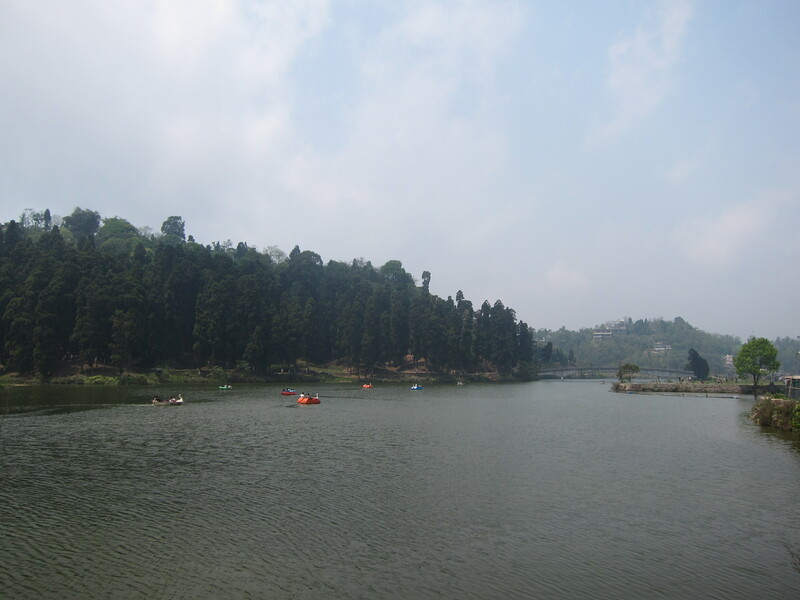 Mirik’s small but pretty lake. View of the lake from Glenmore International School. To reach Thurbo, I walked down and past the lake, then backtracked along the road towards Darjeeling. I eventually found the factory on a small hill just off the road. At the factory I asked for the manager, Mr. J.D. Rai. I had been referred to Mr. Rai by Mr. Yogdeep Singh Gurung, a tea planter himself. In addition to being a founder of the Glenmore International School, Mr. Gurung is also the manager of the Runglee Rungliot tea garden and former manager of the Dooteriah Tea Estate. Mr. Rai was not at the factory but his assistant manager, Suman Das, graciously welcomed me and spent quite a bit of time talking to me about tea, naturally focusing mostly on Darjeeling tea and the Thurbo estate. He said he had been working in the tea industry for 19 years and had seen many changes over his tenure. For example, he said that today’s Darjeeling teas are much lighter and subtler than the teas of the old days. He spoke of current concerns about labor shortages and absenteeism on the Darjeeling tea gardens. It’s rare that I have a chance to speak to a tea professional who knows the industry as well as Mr. Das does, so it was a genuine pleasure to chat with him. Thurbo 2016 first flush black tea. 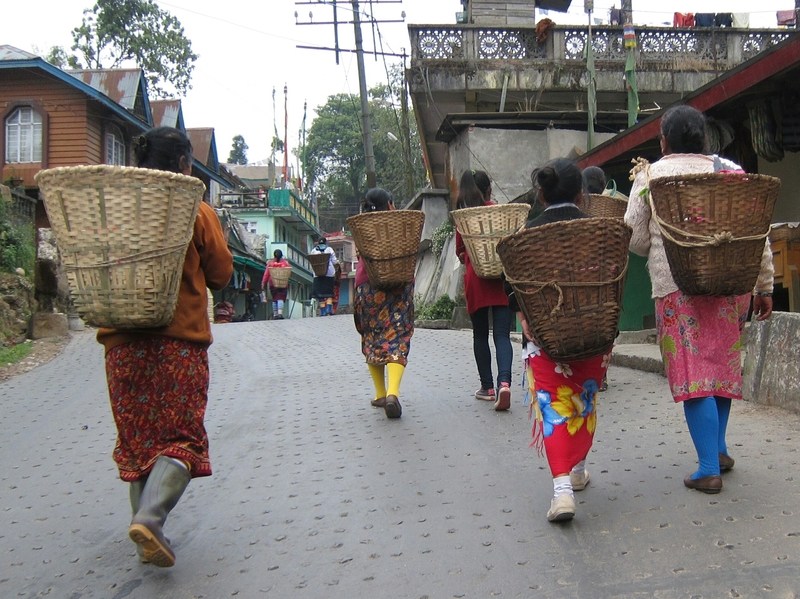 Although the estate did not sell their tea directly to consumers, the small Kamellia Tea shop in Mirik had just received some of this year’s first flush tea from Thurbo. 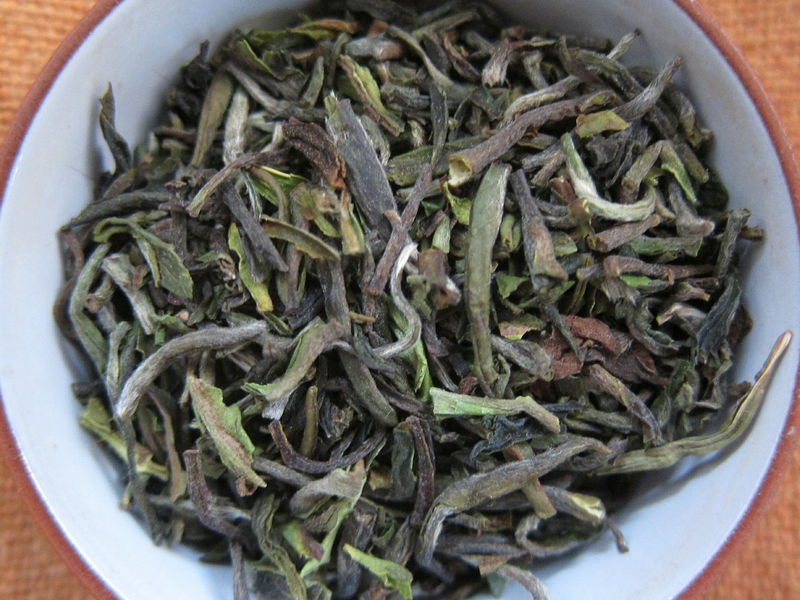 The dry leaves were fragrant, and the liquor had a bright, fresh vegetal taste with the gentle flowery overtones characteristic of many first flush Darjeeling teas. I immediately purchased 150 grams of the tea, and since then I’ve been drinking it daily. 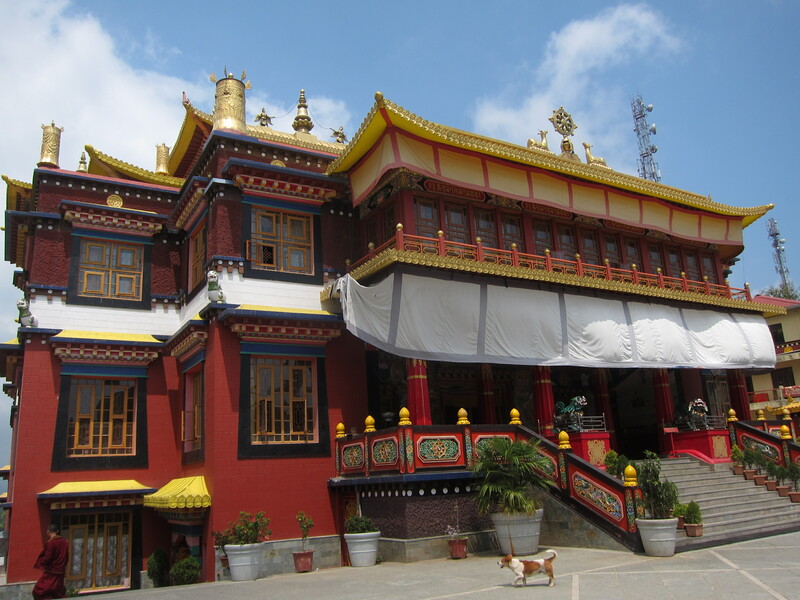 The Bokar Tibetan Monastery, just up the hill from the Glenmore International School. Zen and tea are good friends. Also, at the school they’ve been serving me some of last year’s excellent tea from the Dooteriah Tea Estate, brewed with local spring water. As I mentioned in my post about Dooteriah, there has been no plucking there this year due to labor issues, so I was glad to have a chance to try some tea from that garden. Thurbo tea pluckers returning home after a long day’s work. Sounds like you had a lovely and productive day. Looks like a lovely place to live close to tea plantations and a buddhist monastery! Yes Suresh it is indeed beautiful here! Thanks, Jyotsna. It’s quite peaceful around here. Looks so beautiful and peaceful! Have you been inside the monastry? Mythri, I wasn’t able to go inside the meditation hall – I think the monks may have been having prayer and meditation at that time.